Ok gotcha,with rocketlauncher you do not have to choose any associated platforms. Here are my screenshots. I think there might be a way of making it work, though it may be harder than I initially thought. I am going to ask what is possibly a stupid, What real advantage does using RocketLauncher for PS2 games provide? 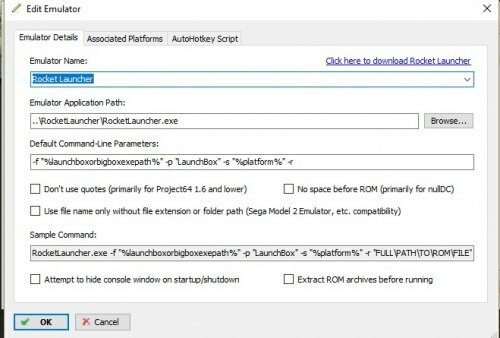 I personally never really saw the point in RocketLauncher, as it just another in between program that ultimately does very little. One of the main reasons I originally developed this plugin was to achieve a good per-game config solution without using an in-between program like RocketLauncher. @alec100_94 I understand. I have my entire LaunchBox library launching with Rocketlauncher as I like the fade screens and bezels that it provides along with handling unzipping rar,gcz and 7z games with ease. I also like that you can pull up a Rocketlauncher pause menu within games to use save and load states along with viewing manuals or stategy guides to the games or watch videos about the game you are currently playing. I wouldn't say it offers an advantage for PS2 games but Rocketlauncher has features that I enjoy. If it is too hard to making the plugin work with Rocketlauncher I totally understand...no worries at all as I can continue to use RL game configs. Ok, so it is probably possible to get the plugin working, I already have a vague idea of how it could potentially work. You should be able to make it work manually by just downloading and replacing the settings (and editing slightly). Maybe you could fill me in with some info and i'll try and i'll try and work something out. It's probably easier if we do that over PM to avoid filling up this thread with a bunch of useless information, and so I can send you in development builds to test. I also cannot promise that this will be fixed straight away, as the current build is pretty stable and is working quite well for 90% of people. Woah, I didn't even know this was a thing. That means I wouldn't have to rely on Retroarch so much, especially for games that run better in standalone emulators. I only found one screenshot, but it looks like it might solve the UI issues I have with most emulators that aren't PPSSPP. Is disc swapping handled through that menu as well? And if so, is it better than what's possible via other menas? Yes, disc swapping is handled through the Pause menu as well. If you want to know further info,feel free to start another thread or use one of the other RocketLauncher threads on the forums so we do not crowd @alec100_94's thread here. Special thanks to @alec100_94 for adding RocketLauncher support. Guys if any of you have not tried this plugin, you are missing out if you use PCSX2. The ease of this plugin in addition to @Zombeaver configs that it downloads makes it so simple. Getting this when I try and configure a game. 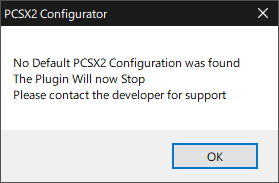 I set my configurations directory to where my pscx2 inis are in my documents folder but the error is still happening. 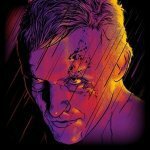 @bungus, PCSX2's ini files should be in the PCSX2 Directory\inis, and the emulator will not operate with them located anywhere else (or at least as far as I'm aware). The configurations directory in the plugin is for where you want to store custom configs, which can be anywhere you like. @bungus, Ok it appears I'm wrong, a simple fix is to add a blank portable.ini to your PCSX2 folder, and not use the documents folder. This is something I will attempt to fix in the next update. Yes, the development builds (which is what you need to be using for the optimized configs anyway) come with portable.ini already. 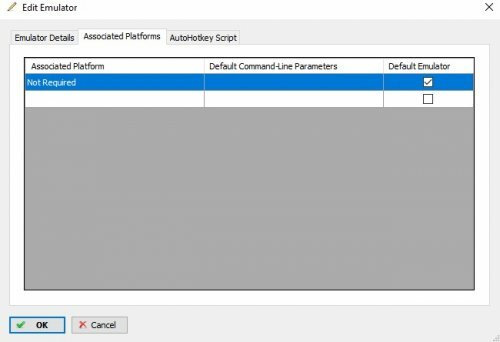 The latest version of the AutoHotKey (LoadConfig.ahk) on GitHub should now have the issue resolved, and not require a portable.ini. As discovered by @mssngr, there is currently a problem where this plugin will not work correctly if your LaunchBox language is not set to English. I will address this problem in the next release, in the meantime if anyone wants to use it with another language please drop me a PM, and I'll send you a build that'll work in your language. is this compatible with .cso files ? @StuDentBR Yes, as it just uses PCSX2, it makes no difference to the plugin what format the file is in. I'm having a bit of trouble with this. It installs fine and I can select and configure settings so long as its not a game you have pre-configured settings available for. For games with pre-configured settings available the small pop-up asks if I would like to download them or not, however I can't click any of the buttons, there is no response. I think it may be an issue with a scaling setting in Windows. This should be addressed in a later update to the plugin, but currently it's designed for 100% scale. You have to set it to 100% and then log out and back into Windows. You can also just use Y or N keyboard keys in the meantime for "Yes" and "No" respectively. Thanks, thats probably it, I have it set to 125 as I have the PC hooked up to a 24" TV. Another thing I noticed, if I run a game before clicking configure, it doesn't ask if I want to download any more. I clicked configure and it asked if I wanted to download, I couldn't select anything (didn't know I could use Y and N) so I forced closed it. Then selected configure and the same thing happened. Then I ran the game and it loaded up with default PCSX2 settings. Then when I clicked configure again it didn't ask if I wanted to download them it just opened the emulator to let me do it manually.